08-25-2014 retromangia Box Text "You Never Forget Your First"... - INTIMATE "DIVE SYSTEM": Interact with your team-members in a private, digital world. - THE ART OF "GRATHMELDING": A massive item-customization system that allows you to customize and create new weapons. 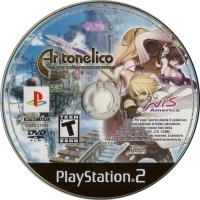 - EXPANSIVE AND FUTURISTIC WORLD: Explore the beauty and elegance of the Tower of Ar tonelico, a world unlike any other. - UNLEASH "SONG MAGIC": Use the power of songs to heal your friends and defeat your enemies. 05-29-2012 disgaeniac Box Text "You Never Forget Your First"... - INTIMATE "DIVE SYSTEM": Interact with your team-members in a private, digital world. - THE ART OF "GRATHMELDING": A massive item-customization system that allows you to customize and create new weapons. 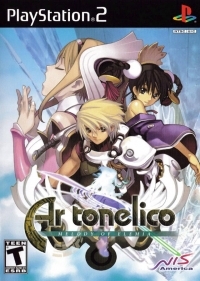 - EXPANSIVE AND FUTURISTIC WORLD: Explore the beauty and elegance of the Tower of Ar tonelico, a world unlike any other. - UNLEASH "SONG MAGIC": Use the power of songs to heal your friends and defeat your enemies. This is a list of VGCollect users who have Ar tonelico: Melody of Elemia in their Collection. This is a list of VGCollect users who have Ar tonelico: Melody of Elemia in their Sell List. This is a list of VGCollect users who have Ar tonelico: Melody of Elemia in their Wish List.